False alarms from security alarm systems are a problem. False alarms from intrusion monitoring systems are frustrating for end users who are woken up in the middle of the night with calls from their alarm company, and they can be costly in terms of fees and fines from police and guard response. This doesn’t even factor in how false dispatches that come as a result of these false alarms become a drain on emergency services. The vast majority of false alarms from intrusion alarm monitoring systems are from user error, and similarly upwards of 97% of all alarms from i6ntrusion alarm monitoring systems – commercial or otherwise – prove to be false. So the question becomes how you reduce this number of false alarms and the resultant false dispatches? In previous blog posts, we’ve covered 8 ways that you can reduce false alarms. This includes doing things like scheduling regular inspections of the monitoring transmitter, educating users on how to use the intrusion alarm system and its various functions, and using advanced monitoring techniques, such as Enhanced Call Verification. As we’ve posted before, more and more police departments are requiring some form of verification prior to accepting a dispatch to an alarm call, or at least they are not prioritizing alarm responses from intrusion alarm monitoring systems if they are not verified. This is (justifiably) in response to the 97% false alarm rate we’ve noticed above. Different police departments have different considerations as to what constitutes “verification”, but what is becoming universal is that an alarm which is verified as valid by CCTV video means is considered verification, and in many cases becomes a prioritized response. This is because remote video monitoring allows the monitoring company to “look in” on cameras related to the alarm to see if it is valid. When an operator views the cameras, they’ll have the opportunity to see if there is a person compromising the business and setting off the alarm, or whether it’s someone simply having trouble disarming the alarm system, or another condition. It is this verification which can reduce the false dispatches of police, or provide prioritized alarm response in the event that an intruder is seen on video. What kinds of systems work for Remote CCTV Video Monitoring? The good news is that many of the systems which are installed today can work with a remote CCTV video monitoring provider, particularly if you’ve moved your CCTV video system to an IP configuration. If you do not have a compatible system, often the change to a newer DVR or NVR can make your existing CCTV video set-up work for remote video monitoring. As well, services like alarm.com are also compatible with some remote video monitoring platforms. 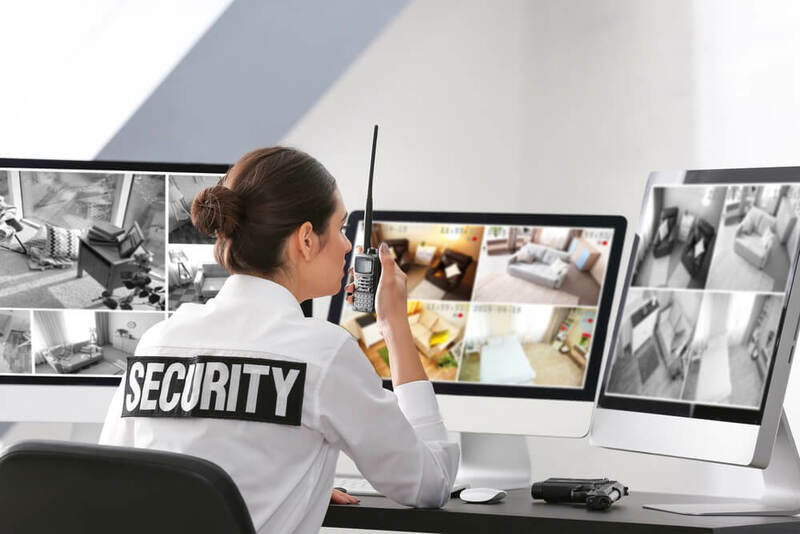 As you can see, remote CCTV video monitoring can be used to reduce false dispatches that arise from false alarms off of intrusion alarm systems, and how it can prioritize valid alarms. This saves the time of emergency To see if your existing CCTV video system can accommodate remote CCTV video monitoring, call your security integrator, or contact FMC and we’d be happy to discuss this with you.